I’ve been on a real state park kick lately. I’ve actually been to more Georgia state parks in the past 3 weeks than I have in the previous 10 years I’ve lived here. There are so many outdoor recreation areas in Georgia and I tend to visit free ones, but the state parks definitely have a lot to offer! I finally bought a state park annual pass, which I highly recommend doing if you plan to visit state parks on a regular basis. There are different options, but a basic parking pass costs $50 a year and can be purchased at the visitor’s center of any state park (I’ve visited 5 since the end of August, so it’s well on it’s way to being worth the money). 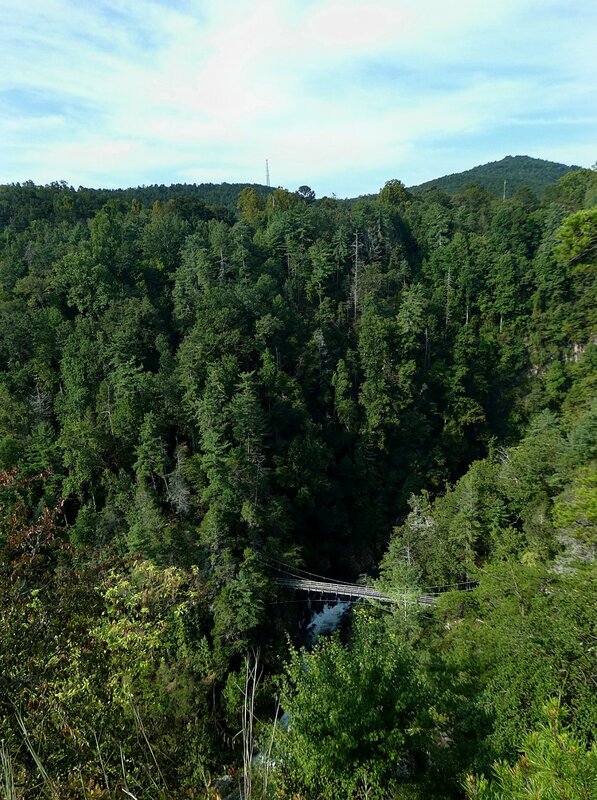 One of the parks I visited recently was Tallulah Gorge State Park. I actually have been here before and I think it’s one of the most amazing places in the state. I came to Tallulah last fall for my birthday, which also happened to be the peak of leaf season. It was absolutely beautiful then, but I really like visiting the same places in different seasons and appreciating everything nature has to offer. I figured all the rain we’ve received this year would really make the waterfalls and foliage look stunning. So recently I went on a group hike with Girls Who Hike GA (and some special Atlanta Trails guests) and revisited one of my favorite places. 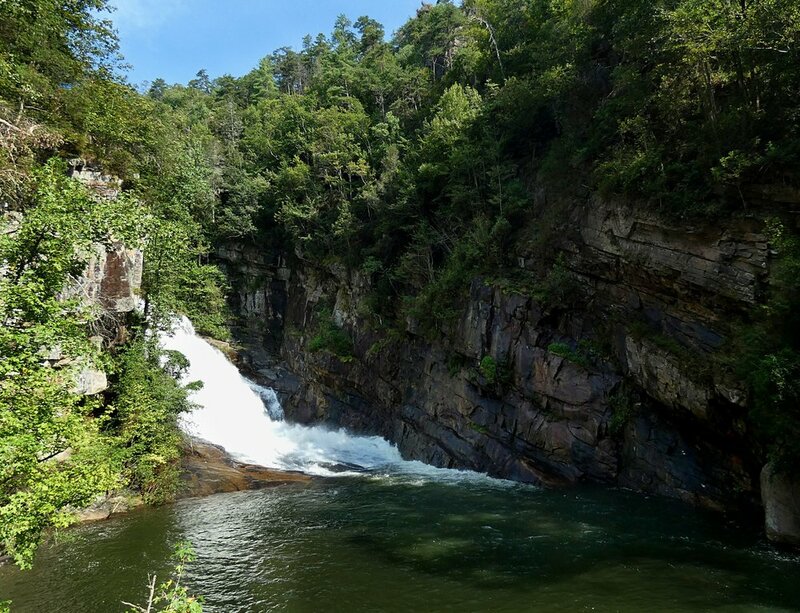 There are some important things to know about Tallulah Gorge. First of all, check the calendar on the park website for the dam release schedule. Sometimes they do whitewater releases and parts of the park are inaccessible during this time. That being said, my previous visit was during a whitewater release and it was really neat to see all the kayakers and rafters on the river. Most of Tallulah isn’t dog friendly either, aside from the trails along the upper part of the gorge. But if you want to go down the stairs (there are a lot of them!) closer to the water, you’ll have to leave your pup at home. Lastly, to actually visit the “gorge floor”, you’ll need a permit from the park office. I’ve never done this option, so I can’t really say much about it but from what I’ve heard, it sounds really neat! 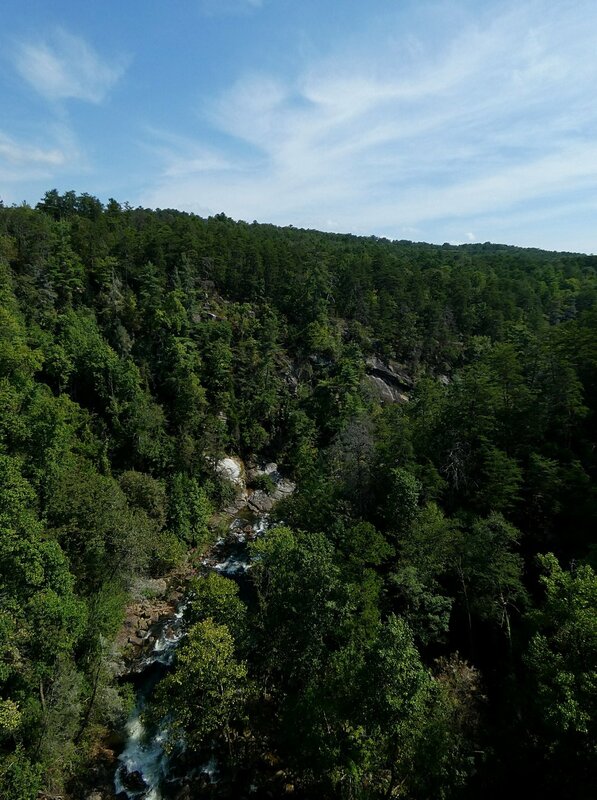 I truly believe Tallulah is one of the most unique places in the state of Georgia. Every part of the park, every angle, every view is so beautiful. The views from the rim trails along the top of the gorge are stunning. I recommend doing both sides of the rim trails and actually think the southern rim views are a little more spectacular. 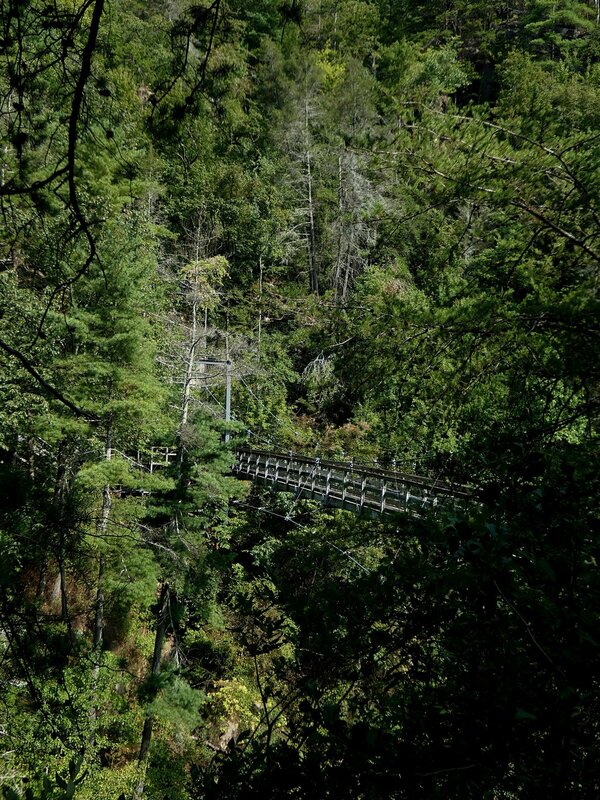 The stairs down into the gorge are challenging, but worth it. Just take your time and enjoy the views. If stairs aren’t your thing, no worries. 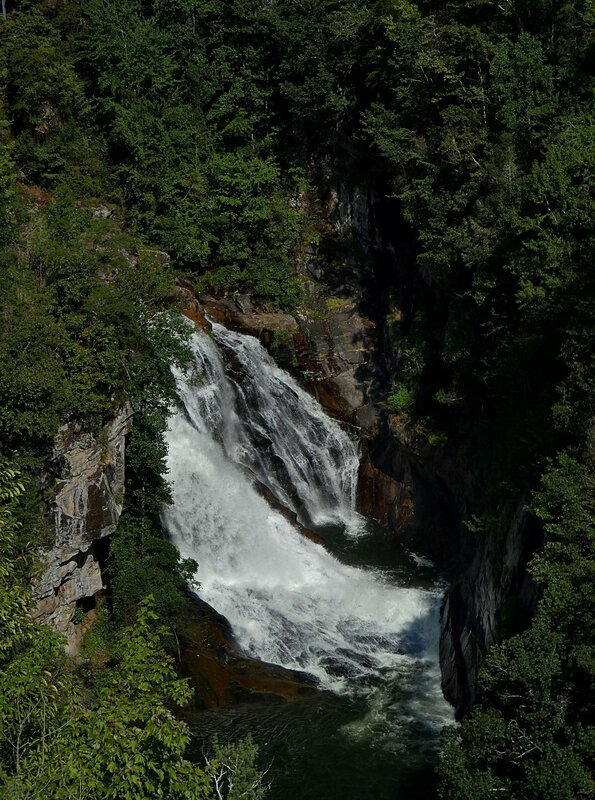 The full beauty of the river and falls can be appreciated from the top of the gorge. The park can get crowded but if you’re there early, it’s peaceful and quiet. Since it is a popular spot though, it’s really important to remember to Leave No Trace! Of course, I’m always a fan of eating, drinking, or both after a good hike. Clayton is about 15 minutes north of Tallulah and there is no shortage of good restaurants there. Our little group went to the Universal Joint for lunch and then to Wander North Georgia for some shopping. One thing I have really come to appreciate lately is the sense of community I’ve found through hiking. As much as I like hiking alone, I’ve met some really great people recently and having like minds to share nature with is always a good thing.